Christian Maibohm is postdoctoral research fellow in the “Ultrafast Bio- and Nanophotonics” group led by Dr. Jana B. Nieder. His work is focused on the development of nonlinear photonics solutions, being involved in the deveopment and application of innovative experimental setups for multiphoton microscopy and 3D micro-fabrication. Christian Maibohm graduated in physics and applied mathematics (2005) from the University of Southern Denmark working on UHV-growth and optical characterization of organic nano-crystals. Enrolled, for 1½ years (2005 to 2007), in the European network “FastNet” as a pre.doc researcher at the institute of physics in Siena, Italy, where he worked on light induced atomic desorption (LIAD) from porous glass. He completed his Ph.D. (2010) in physics and nanotechnology from the University of Southern Denmark and Carl Von Ossietzky University Oldenburg, Germany, focusing on fabrication and multiphoton microscopy of nano-crystals and organic nano-structures. 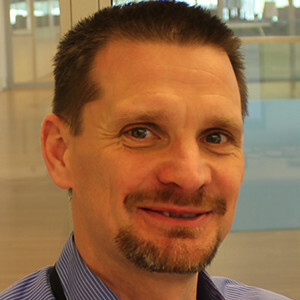 As a post-doctoral researcher for 2½ years at the University of Southern Denmark, he worked on a method to map the optical near-field of cleanroom fabricated nano-structures and also in the European FP7 project EMICAB (Embodied Motion Intelligence for Cognitive, Autonomous Robots) on fabrication and characterization of bio-inspired polymeric smart sensors. As a post-doctoral researcher for 2½ years at the photonics department at DTU (Technical University of Denmark), he worked on the project ALPHA (Algae Photonics Applications) regarding photonic properties of the nanostructured frustule of diatoms. Alongside the ALPHA project he worked on the FP7 project Digistone which concerned optimization of light coupling to optical fibers embedded in concrete together with scientific consultancy for SME’s on the project. Light interaction with nano-structured diatom frustule, from UV-A to NIR. C. Maibohm, M. Rastedt, F. Kutscher, O.N. Frey, R. Beckhaus, H-G Rubahn, K. Al-Shamery. J. Nanophoton. 6(1), 063515, Jul 02, (2012).